We hate to sounds corny, but Jack Bruce proved that “the Cream still rises to the top” with last night’s performance at B.B. King’s in Times Square. The show was all the Cream material a fan could ever dream of, with one exception–the remarkable “Theme From An Imaginary Western,” which he opened with, accompanying himself on keyboards (and with no other instrumentation). Bruce’s band was composed of the versatile axeman Godfrey Townsend and the bandana-headed, multitalented Bernie Worrell on keyboard. Sitting in the Ginger Baker seat was superb Steven Murphy. Murphy’s adept playing was not as crazy and “all over the place” as Ginger Baker by any stretch of the imagination but he’s definitely a contender as a saint among the skinpounders. The list of the “cream of Cream” played by Bruce and friends last night included all the necessary hits (i.e.,”I’m Glad,” “I Feel Free,” Sunshine Of Your Love” and “White Room”) and even folks into the more progressive “album rock of the late 60s” adores from “Politician” to “Sitting On Top Of The World” to “SWLABR.” Bruce added in some bass “gymnastics’ as only he can do–including intense distortion that make you feel like you were on acid even if you never took it in your life. 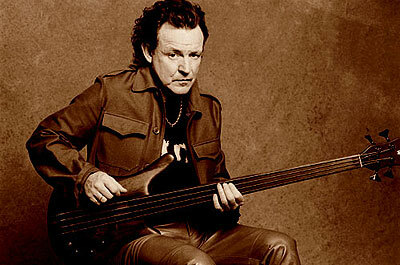 Jack Bruce can take bass playing into the stratosphere as every classic rock fan knows but his solos were not long enough to alienate people that were there to see what was more familiar to them.